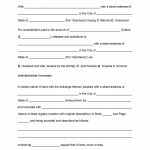 Hawaii Deed Forms are legal documents used to convey ownership of parcels of land in the state of Hawaii. Interestingly, the way Hawaii’s real property, the boundaries of the land as well as any of the descriptions are nothing like the other 49 states in the Union. The divisions had been created with a long history of ownership. They have two separate recording systems, therefore, it is absolutely recommended that when anyone outside of, or new to the state, hire an attorney to draw up their deed. There are no counties, county recorders, no quarters, no section or any other divisions of property as is so well known and understood in all of the other U.S. states. 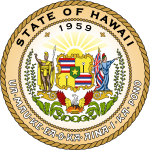 All documentation is handled by the state of Hawaii and is only processed in one location. 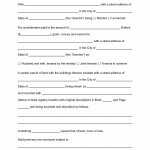 The Grantor will be required to provide a copy of the previous deed and to be a step ahead, you will be encouraged to present a title report for the property, as well. 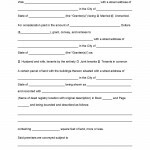 So that the Grantor and Grantee are away, there is no deed that is called a “statutory warranty deed,” but the usual name of the deed is “warranty deed,” that will transfer ownership of real property. The best possible scenario for both parties is to very simply, turn these duties over to an attorney who is knowledgeable about the conveyance of property in Hawaii, the fees are affordable.